Family farms in Karnataka get a boost through TechnoServe's partnership with Cargill to support skill development of rural youth. Maruthi S. is the son of a small farmer from village Bhanuvalli in Davangere district, Karnataka state in India. After completing high school, Maruthi started work on his family farm, assisting his father in the farming of paddy and betel vine. Until recently, they had earned their living only from farming; but now Maruthi has new opportunities. Thanks to the Cargill Agri Fellow program, 18-year-old Maruthi has gained skills to improve the productivity of his family farm, and to start his own commercial farming ventures. “With the support of Cargill and TechnoServe I got an opportunity to learn modern agricultural practices,” said Maruthi. Maruthi is one of the 14 youths who had been chosen for the first cohort of the Cargill Agri Fellow (CAF) program. The program, which launched in April 2016, helps to address employability and skills gap among the youth of Davangere while stimulating the development of the region’s agribusiness sector. 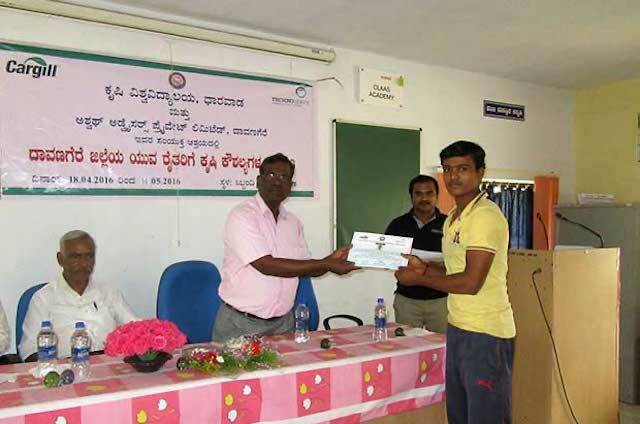 As part of the program, Maruthi received one month of classroom training at the University of Agricultural Sciences (UAS) in Dharwad, learning about best practices for growing the region’s major crops, such as rice, maize and sugarcane. The training covered a broad range of topics: dairy, poultry, fish and farming; mushroom cultivation; organic farming; commercial horticulture; and even silk farming. The program pairs classroom instruction with practical training by offering field internships. 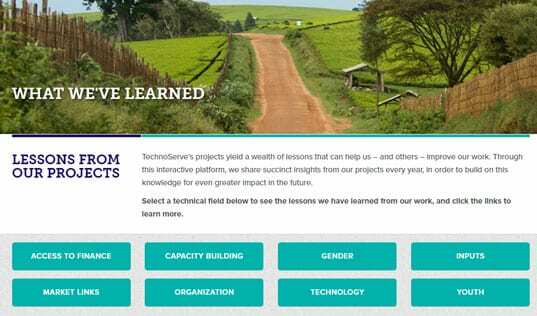 TechnoServe assists students in mapping their final interests, provides specialized agribusiness training, supports students in developing business proposals and helps them access loans if needed. 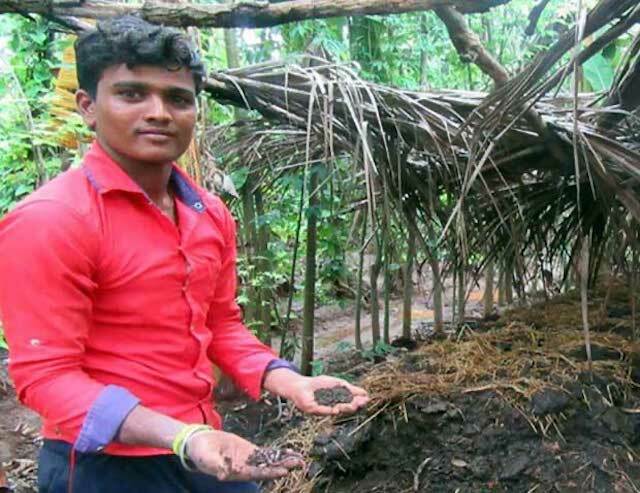 After completing the course at UAS, Maruthi returned to his family farm and established four vermicomposting units, using banana leaf from the farm and worms to produce low-cost compost. Based on his training, he applied seed treatment for his paddy crops and treatment for the betel vine to prevent fungal disease. He has also approached the TechnoServe team to guide him in setting up a drip irrigation system on his farm. The Agri Fellow Program is one of the components of Saathi, a four-year local economic development project being implemented by TechnoServe in partnership with Cargill. 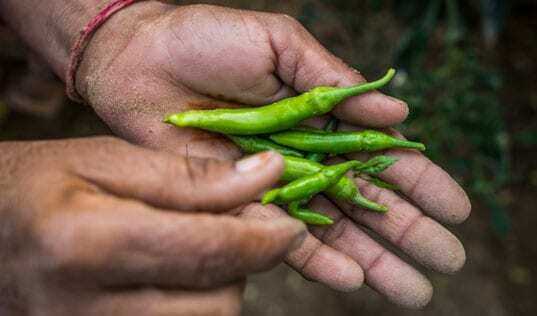 Saathi – which means friend or companion in Hindi – aims to help 5,000 smallholder farming households in the Davangere improve their livelihoods. 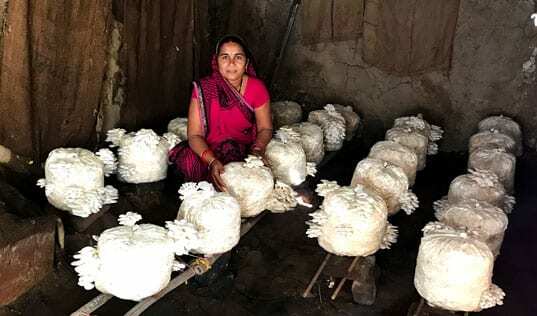 In addition to promoting livelihood opportunities for youth, Saathi will focus on agriculture development and diversification and economic empowerment opportunities for women. Saathi also includes community programs such as infrastructure support, toilet renovation, and providing learning materials for the local schools.